When Arianna Cini took over the 13th century family stone house rental, she along with her Sommelier husband Alessio, created a slow travel love affair in Tuscany. Together their project Km Zero Tours is about savouring the Tuscan experience in a relaxed rhythm that unfolds into spell-binding memories to be treasured for a lifetime. “We want people to truly remember this experience, meet the people we meet, and have a life-changing experience,” says Arianna, a native of Chianti region in Tuscany, Italy. 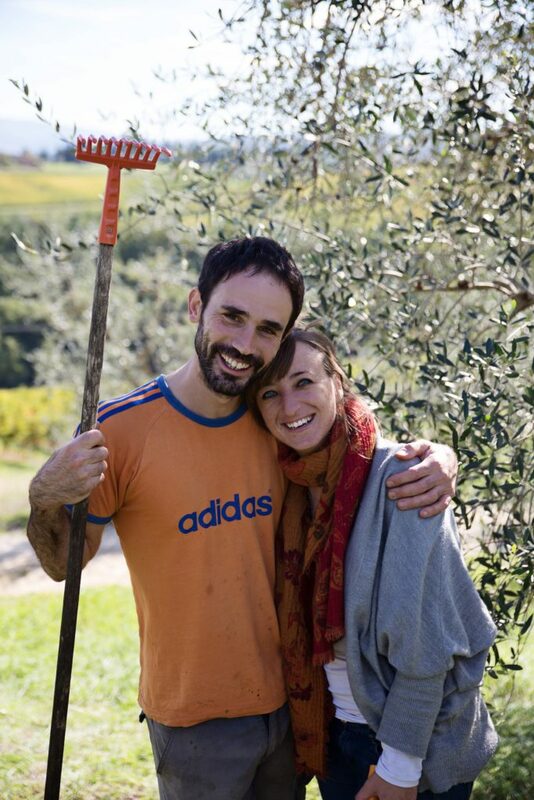 Through Km Zero Tours, Alessio and Arianna express their passion for food, wine, and healthy living that brings you close to nature and gives guests the opportunity to meet the genuine local producers who share the same vision – living the authentic Tuscan experience. Beyond the typical love affair we outsiders have with this beautiful area in Italy, known for its sprawling vineyards, ancient olive groves, and renaissance architecture, Alessio and Arianna provide a true connection with the wine producers, olive farmers, goat herders, and cheese producers who guide you into their traditional practices and provide insight into a real “farm to table” experience, and before you know it you’re one of the family. A one week small-group escorted experience is a collection of exclusive out-of-the ordinary excursions and unique experiences, designed for those who really want to immerse in the real culture and traditions of Tuscany. With only 8 to 10 guests, privacy and intimacy is ensured. Itineraries include custom designed adventures with all inclusive meals, transportation, transfers, and accommodation, and plenty of planned excursions. Don’t worry, this is the slow travel experience so there is enough flexibility to allow spontaneity and relaxation. Alessio and Arianna will guide you through a unique journey and culinary adventure, meeting passionate locals who will introduce you to the most genuine Italian experience. 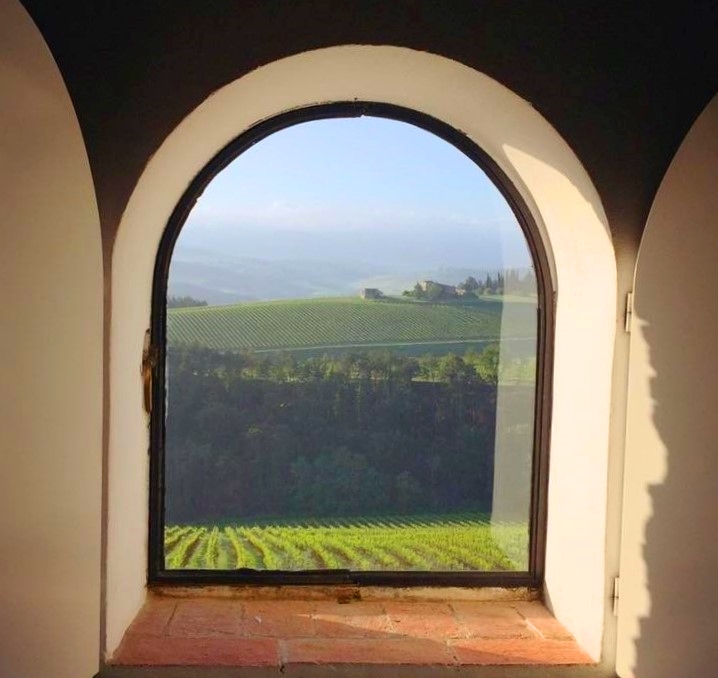 Every day represents a special journey through beautiful hilltop towns, quaint villages, and the picturesque Chianti countryside, where you will experience one of the most important aspects of the authentic Italian lifestyle: the local people, wine and cuisine. You will have the opportunity to meet and interact with farmers, producers and local artists, and to have plenty of “hands on” activities that will let you gain insider knowledge of the region and to create special and lasting memories. During this unique Tuscan adventure, you will be immersed in an exploration of authentic and real culinary customs, delights and traditions. You will delve into the framework of ancient Tuscan culinary recipes, finding fresh ingredients at their source and discovering the real heritage of the Italian kitchen. This slow travel experience will guide you through all the main aspects of the real Tuscan countryside life. During the week, you will get closer to a more genuine lifestyle, that supports and fully embraces the local community. You will learn the secrets of wine making, as well as the production of olive oil, cheese, pasta, honey and other types of food products typical to these areas of Tuscany. This distinct experience will not only let you sample amazing meals in unforgettable settings, but it will also give you the chance to see and learn firsthand how the local people live. Being invited into their homes and sharing inspiring stories and experiences enriches the slow travel love affair. “We love the idea of combining relaxing yoga practices and slow mindfulness sessions with our daily activities,” says Arianna. 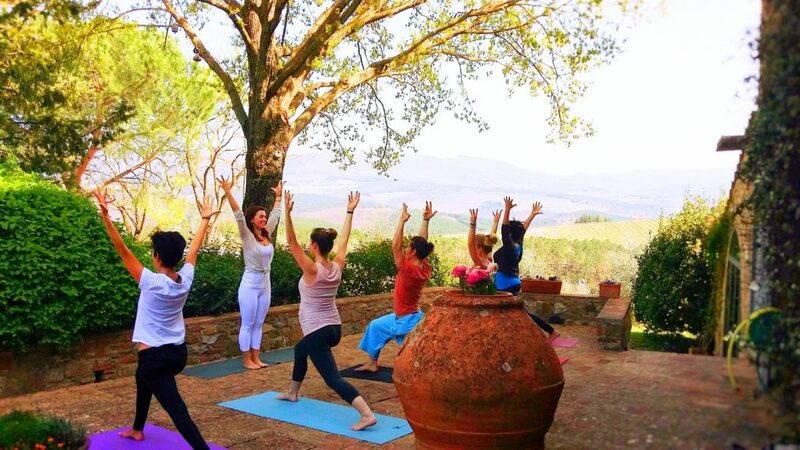 Your yoga experience is created with an aim to discover the authentic Chianti region, meeting talented producers and sampling amazing products all surrounding a wonderful week retreat experience. 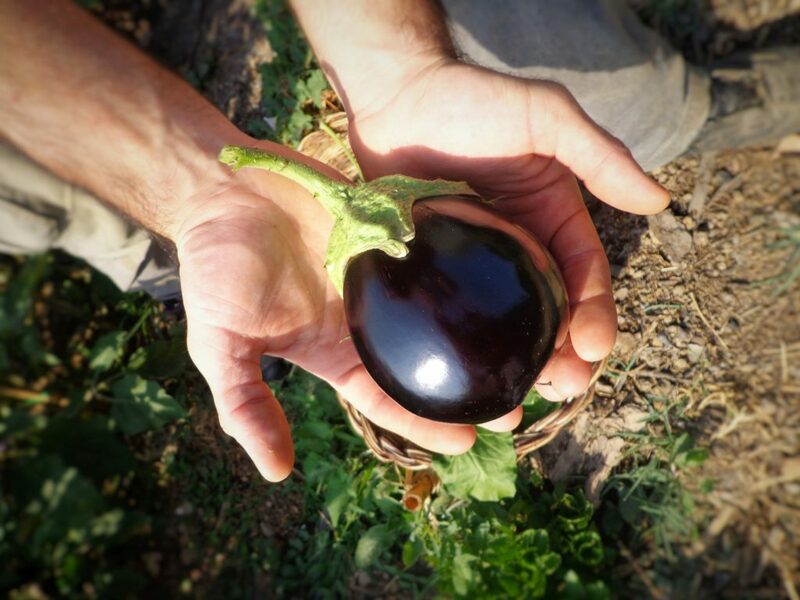 Daily yoga sessions and visits to charming local towns, “farm to table” recipes, refreshing hikes, and visits to passionate producers and artists come together so you can discover the real food and wine culture of the region. Each and every encounter of the week is an invitation to relax, slow down, savour and mindfully enjoy yourself and the inspiring natural surroundings, embracing a healthy, eco-friendly philosophy & lifestyle and supporting the local community. Twice daily inspiring “slow yoga”, combining hatha yoga, yin yoga, restorative yoga, meditation, and mindfulness sessions all run by an experienced and skilled yoga teacher will allow you to ease into your day and prepare you for a blissful night of rest and restoration. All levels of practitioners are welcome to join this retreat, and special needs can be accommodated. 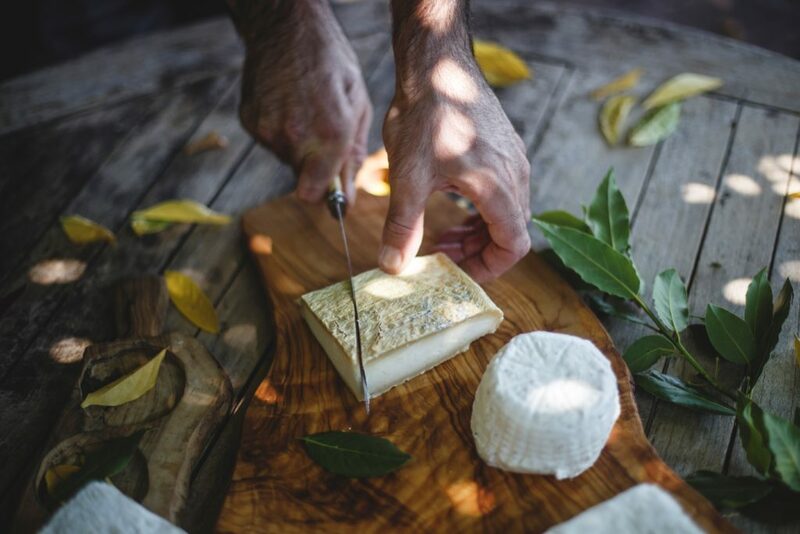 From organic wine tastings to cheese-making lessons, from slow-food cooking classes to local handicraft, you will be able to connect to the understated luxury of simplicity, slowing down and savouring every moment…both on and off your yoga mat. 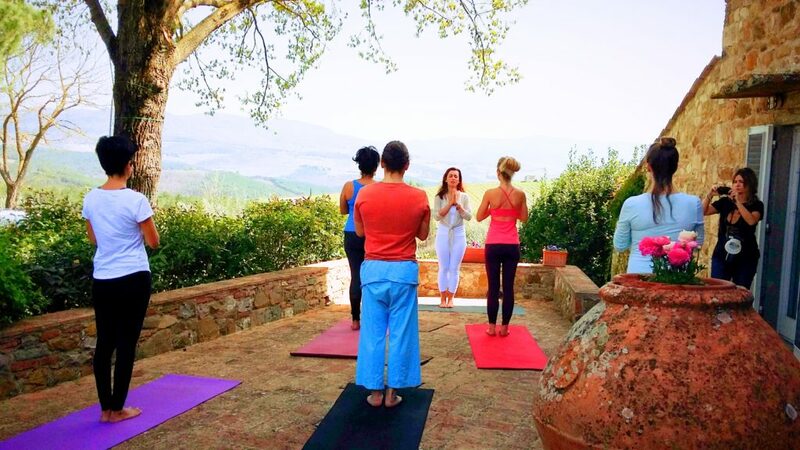 Travel year-round or join Arianna, Alessio and yoga teacher Jen Warakomski on the Yoga, Food and Wine Retreat happening this September and begin your slow travel love affair in Tuscany with Km Zero Tours. After you watch this video you won’t want to miss this experience of a lifetime. Live the experience! I LOVE this article …….. I read it slowly – lol ……. it was like taking a mental-vacation filled with lovely visions ….. thank you for sharing! !